Motorcycle Show in Long Beach.Called the Vision, the motorcycle is built around one of the powertrains from parent company Polaris' ATV line. It's an 800cc liquid-cooled parallel twin, with the cylinders laid almost flat and a no-shifting constant-variable transmission (CVT) passing power to an exposed shaft final drive housed in the single-sided, single-shock swingarm. And that's the more-or-less conventional part. Above the engine, a huge storage area/fairing will hold two helmets or other gear because the bladder-type fuel tank is set down above the flat engine and just behind the 17-inch front wheel and 43mm inverted front fork. The storage unit doubles as an aerodynamic windbreaker and could have a windshield that rises out of it. Though the bulbous storage pod and narrow seat/tailsection perched at the rear of the alloy frame might suggest sporting or touring use, the riding position is very cruiser-like with long running boards extending along the engine's flanks with a relatively high handlebar poking through the top of the storage pod. 61-inch wheelbase, in part mandated by the length of the drivetrain created by the near-horizontal cylinders in front of the crankshaft. Essentially Victory has employed a fairly flat powertrain and used the resulting empty space above it in unique ways. There is no talk of production for the bike, which is probably more of a talking point and attention-getter for the company than an actual, er, vision of the future. 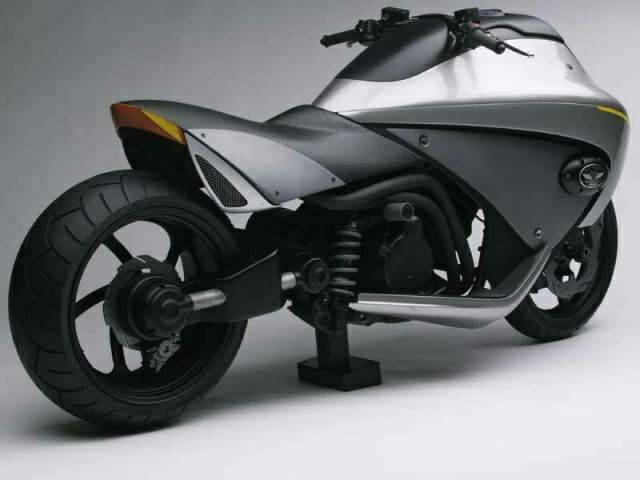 (Certainly the somewhat rough concept bike shown in Long Beach is not anywhere near production and would require some changes to even be street-legal.) 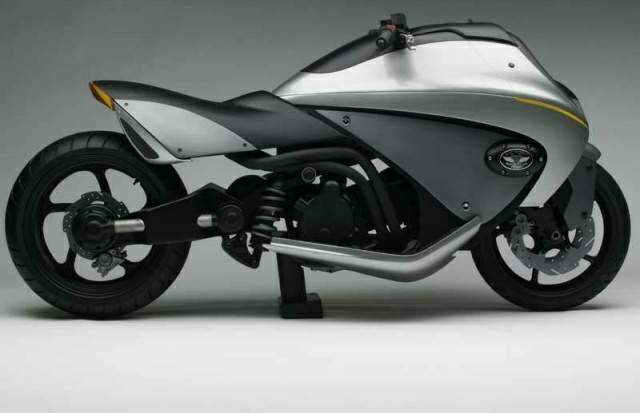 However, this concept motorcycle also carries a message that Victory will not always build just traditional cruisers, which is probably an important one as Victory begins selling its bikes in markets outside North America for the first time. Said Greg Brew, Director of Polaris Industrial Design, "Our mandate for Victory is to drive the future of custom-inspired American motorcycle design. 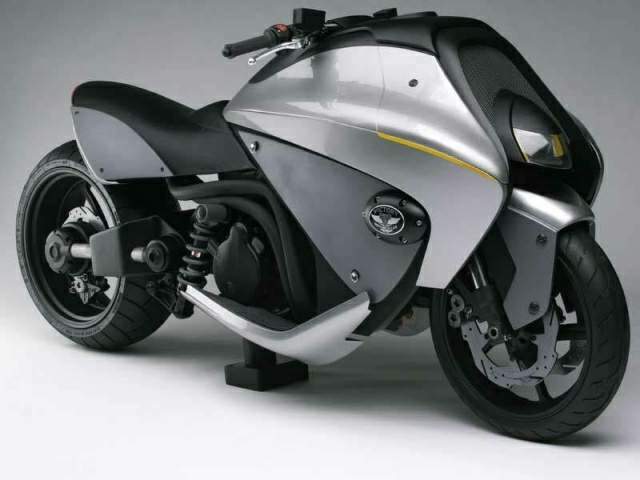 The Vision 800 is but one example of the type of exploration our team pursues in order to continue to deliver the type of innovative design that fuels people's passion for motorcycles."